Recently Logitec introduced a new series of gaming mice. The Logitech® G203 Prodigy Gaming Mouse. It features advanced button tensioning, a new optical gaming sensor and a comfortable design. 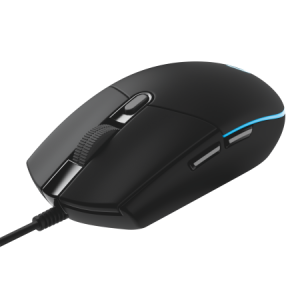 The new mouse is part of the Logitech G Prodigy series, designed to be straightforward, easy-to-use gaming gear at a great value. 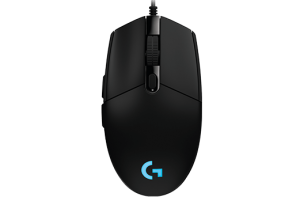 Gaming-Grade Performance: The Logitech G203 Prodigy Gaming Mouse communicates at up to 1,000 reports per second – eight times faster than standard mice – so that when the mouse is moved or clicked, on-screen response is near-instantaneous. Advanced button tensioning further refines the experience by keeping the left and right mouse buttons primed to click and delivering exceptional click feel, response and consistency. Classic Design: Inspired by the classic lines and simple construction of the legendary Logitech G100S Gaming Mouse, the Logitech G203 Prodigy Gaming Mouse boasts a familiar design that has been re-engineered and optimized for versatility, durability, and everyday comfort. Cutting-Edge Sensor Technology: The Logitech G203 Prodigy features a new 200-6,000 DPI sensor that delivers the utmost accuracy, tracking speed and consistency, so you can play to your full potential. Designed in the U.S. and manufactured in Switzerland, the sensor gives you better control, so you can start training your muscles to aim by feel, not just sight. Quality and Experience You Can Trust: For more than 30 years, Logitech has been leading innovation and advancements in computer peripherals. Each piece of gaming gear is designed and tested in Logitech’s state-of-the-art research and development labs and held to the highest performance standards. 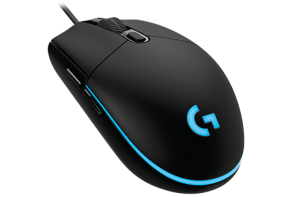 Programmable Lighting, Buttons, and DPI: The Logitech G203 Prodigy Gaming Mouse can be used directly out-of-the-box, or fully configured using Logitech Gaming Software. Choose from a palette of up to 16.8 million colors and different brightness levels to match your style, system or environment. Configure any of the six buttons to simplify in-game actions. Switch between up to five sensitivity settings using on-the-fly DPI shifting. Save your preferences to the onboard memory and easily use it on any PC. The review of the Logitech G203 will be published at the end of January.